Item # 317649 Stash Points: 2,995 (?) This is the number of points you get in The Zumiez Stash for purchasing this item. Stash points are redeemable for exclusive rewards only available to Zumiez Stash members. To redeem your points check out the rewards catalog on thestash.zumiez.com. 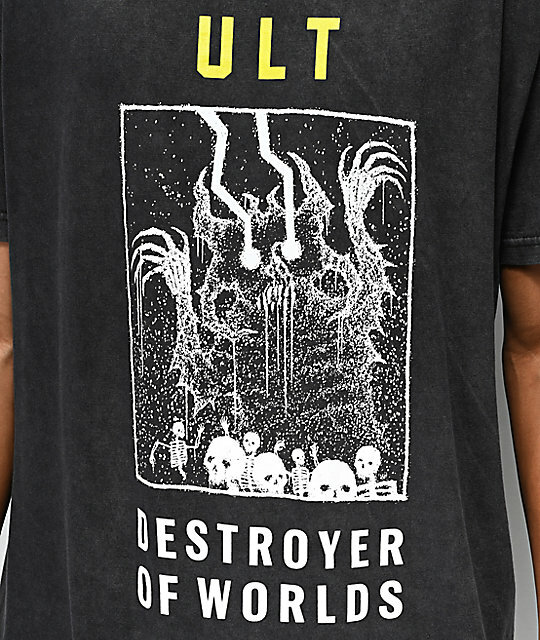 Get a trippy and menacing new look with the ULT Destroyer Of Worlds Black T-Shirt. 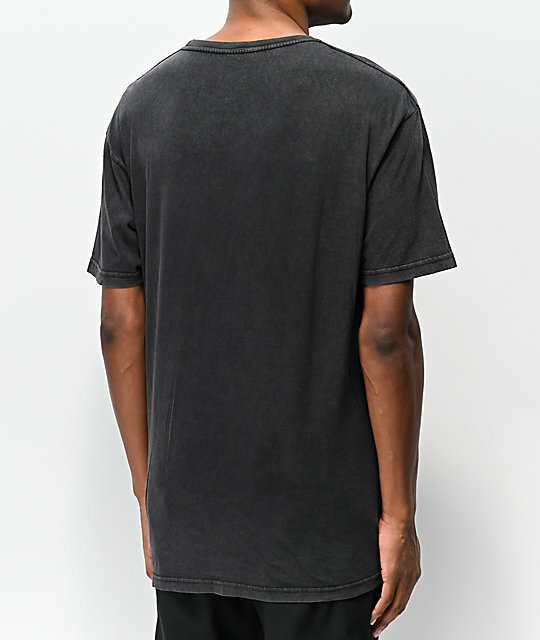 This tee features a washed black colorway for a textured appearance and the tagless construction keeps things comfortable. Featuring the abstract graphic screen-printed on the chest of a monster attacking skeletons and accompanied by yellow and white script logos, this t-shirt will make for a striking statement piece that's great for any daily outfit. 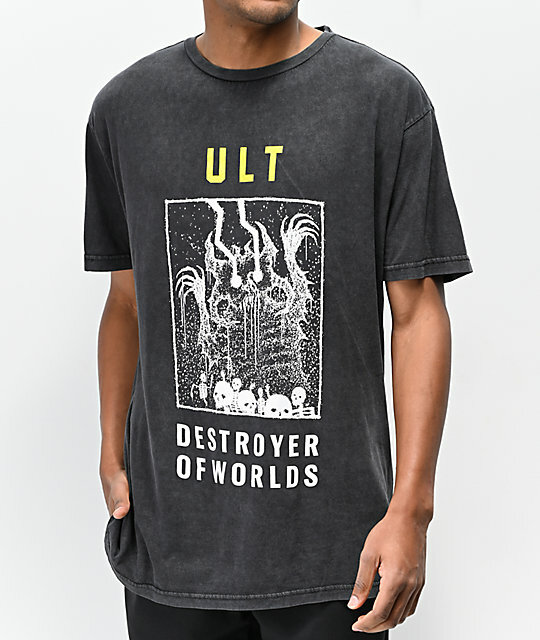 Destroyer Of Worlds Black T-Shirt from ULT. Screen-printed image of a moster attacking a bunch of skeletons with script detailing above and beneath.